The National Education Association (NEA) has collected receipts for classroom supplies from educators totaling more than half a million dollars. It’s commonplace for educators to spend out of their own pockets on their students. ISTA member Courtney Barber from the Michigan City Education Association is one of those educators. 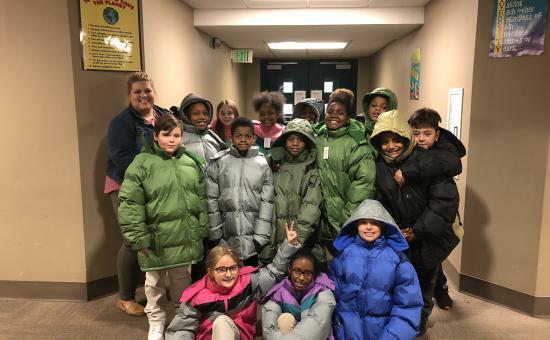 In the winter Advocate, she described how she found, applied for and was awarded grant funding to purchase winter coats and sweatshirts for her students. Where can educators find classroom funding and grants? Barber mentions she visited AdoptAClassroom and Operation Warm to apply for grants. The NEA Foundation also provides educator grants for professional development and classroom activities. The foundation has also compiled a list of additional grant resources for educators. Tell ISTA when you are successful in securing a grant for your classroom or professional development. You may be featured in an ISTA publication. Send an email to communications@ista-in.org.